What better way to get to know a city than through its food? 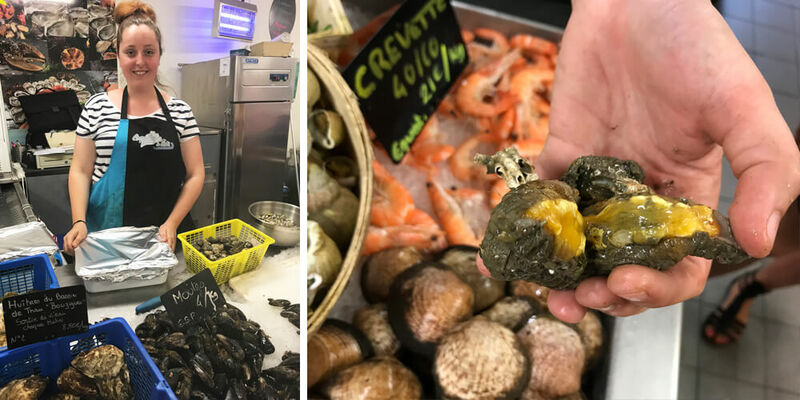 If you’re looking to taste the best of Montpellier, join Marine Dromard and her Food Tour. 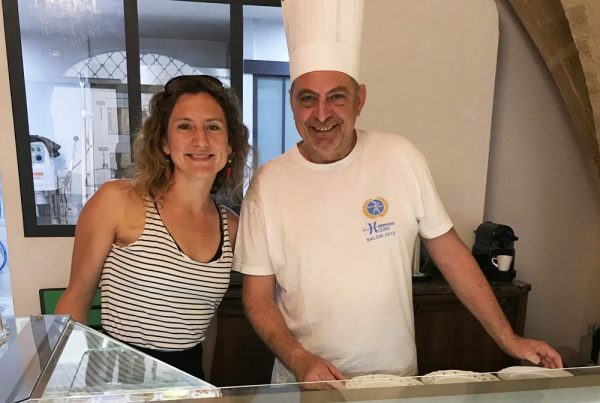 She will show you a different Montpellier, and help you to discover some treasures of French gastronomy. 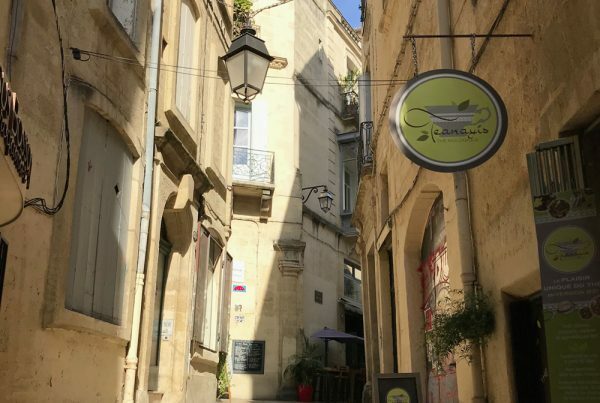 No matter if you’re visiting Montpellier for the first time, or maybe the 100th, you will still be surprised! I met the charming Marine at the Arc de Triomphe. From here, it was a short walk to our first culinary address. “Le Panier d’Aimé” is a landmark in Montpellier. I felt like I was in culinary heaven! Food lovers James and his wife Nathalie run this gourmet delicatessen. And they know good food! Mostly locally produced food that is. 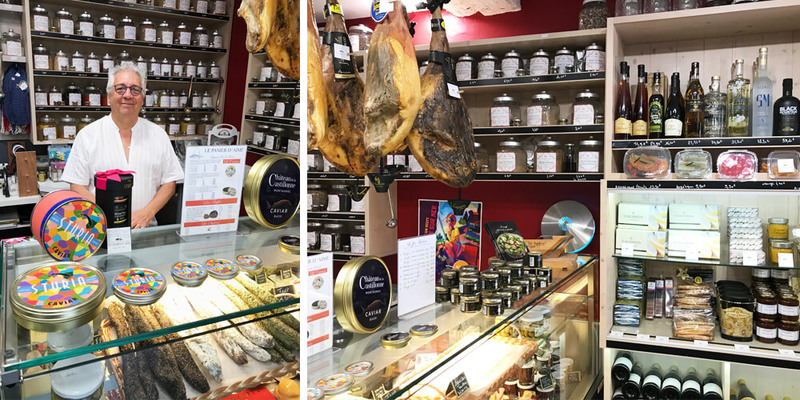 James told me that he and his family have personally tasted every single product in the shop. 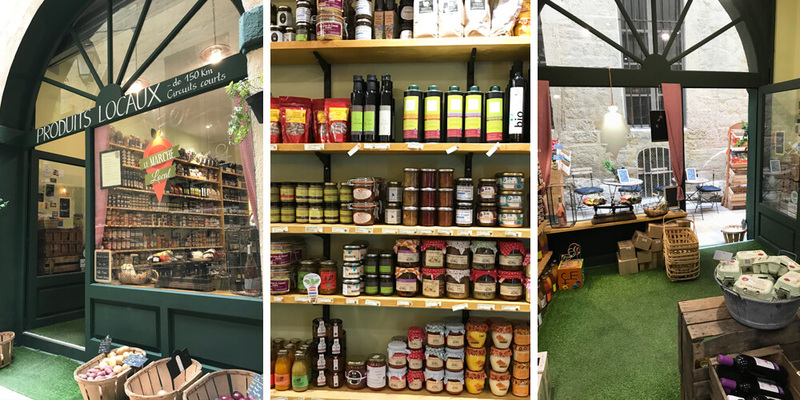 For your information: they sell over 2,700 products… From the grassiest olive oil to local wines and from the sweetest honey to the best tapenades. And everything in between. Be warned: it’s impossible to leave this shop without buying something. Our next stop was “Le Chai Castel’âne”. 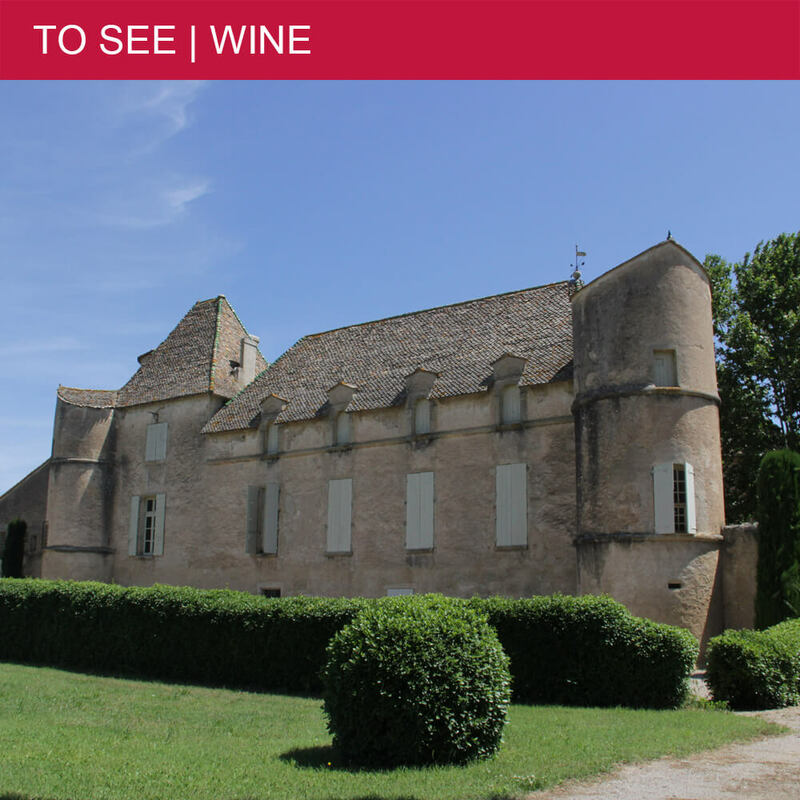 This caviste collects and sells some of the finest Languedoc wines. Although it was 11 o’clock in the morning, we had to taste some of the local juice. 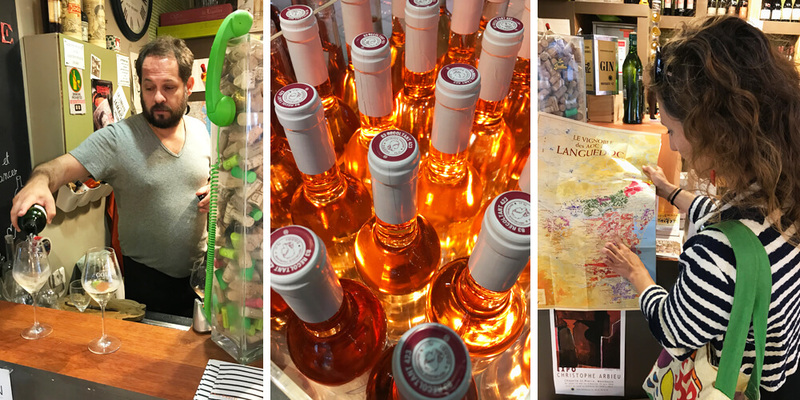 When in France, do as the French do and since I was here, I might as well have a sip of three very different wines. To my shame, I am still no wine connoisseur, even after living in France for about ten years. But I do know a good wine when I taste one. And at Le Chai Castel’âne I tasted three good ones! Another discovery were the fantastic cakes of Monsieur Bruno Liégard. He welcomed us in full regalia, wearing an impressive chef’s hat. I like to bake cakes myself, but these cakes were on a whole other level. The patisseries on display were mouth-watering. And all my favourites were there: chocolate cakes in every flavour combination, lemon meringue pie and raspberry tartelettes. The best part is that I could taste some of these delicacies. I can tell you that they tasted even better than they look. On our way to the fourth tasting, we passed through the historical heart of Montpellier. Le Marché Local lies in a labyrinth of little streets, but luckily Marine was there to show me the way. Inside this small grocery shop, you felt the love in every displayed product. Dorian Oulaidi makes sure that the products he sells are locally produced, with heart. We tasted a few examples of this: smoked tomatoes, local blue cheese and goats cheese wrapped in finely cut shallots. It’s surprising how much flavour tickled my tasted buds with these simple ingredients. The last stop of the day was at Mélissa Coquillages’ fish stand. We happened to arrive just before lunchtime and Mélissa had prepared a plate full of the freshest seafood. When looking at her stand, I noticed a strange looking rock shaped shell. It appeared to be a “violet”, also known as sea fig or grooved sea squirt. Mélissa offered for me to taste one of these local animals that only live in the Mediterranean Sea. Marine added that you either love it or hate it, as the taste is very iodised. And you eat them raw, as in uncooked. Well, I didn’t want to be a party pooper, so I had a go. It did taste alright actually and it sure was very local! After a nice lunch, I said au revoir to Marine. 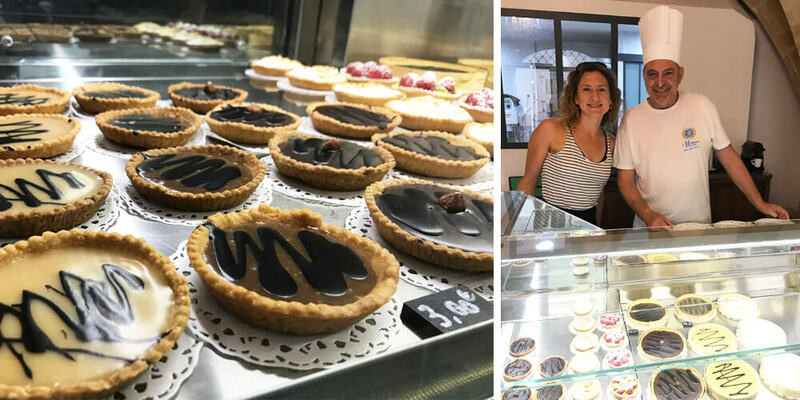 If you want to get to know a different side of Montpellier, I highly recommend doing a Food Tour with her. She is a true food expert and will show you lots of interesting addresses, run by regional food artisans. 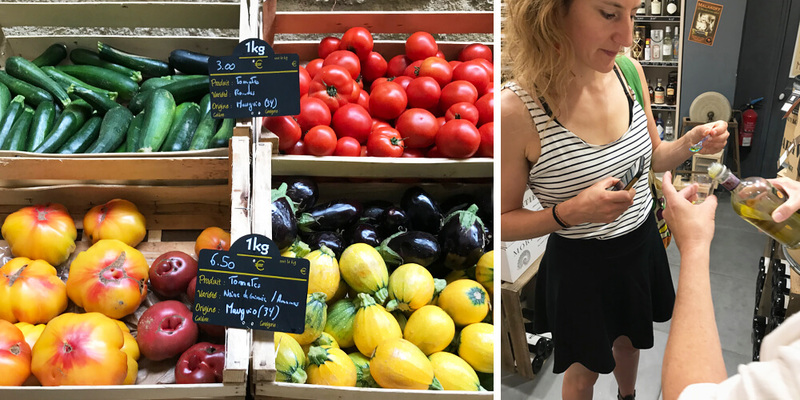 Montpellier Food Tour offers several food walks through the centre of Montpellier. 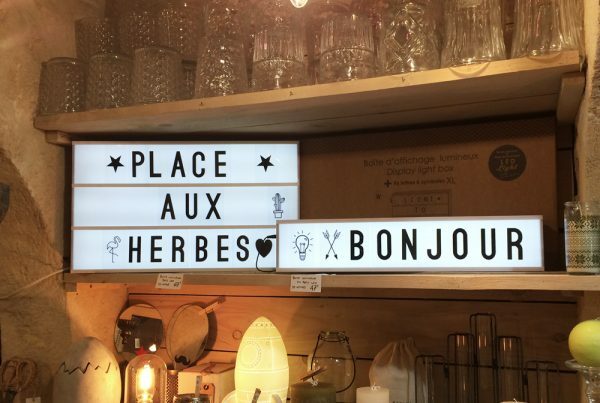 Marine Dromard takes you on a stroll in the historic centre, or you can visit one of the best Southern French markets with her. You can book your experience via her website. Here you will also find all the information and prices for the next available food tour. By the way, Marine speaks English very well.